That’s the question CNBC asked the rest of the American media in 2014, when a shocking new report revealed just how bad the United States’ commercial trucking accident problem had become. Fatal truck accidents happen at least 11 times every day in the U.S.
More than 100,000 people are injured in U.S. trucking accidents each year. Most of those accidents are serious in nature. Truck accidents increased significantly between 2009 and 2014, likely the result of a recovering economy (which leads to more goods being shipped on the roads and more demanding schedules for trucking companies). The rate of American truck accident deaths would be comparable to a commuter jet crashing once a week, killing everyone on board each time. That last stat is particularly stirring because it makes CNBC’s point crystal clear. Even a single commuter jet accident makes headline news. If it were happening every week in this country, there would be an unprecedented national alarm. Americans would be outraged. Planes would be grounded. People would stop flying. Airlines and manufacturers would be in court, or perhaps even in prison. The media would demand answers and explanations. Congress would enact more rigorous regulation. A change would be the only acceptable outcome. And yet the same number of people dying every year in a different type of transportation accident — on the ground instead of in the air — simply doesn’t have the same effect. Commercial truck accidents rarely make national news. Legislators don’t campaign on changing the industry. Relatively few people modify their driving habits in light of the threat. But the death toll is just as real. In this article, we’re going to share some other startling truck accident stats — data that wasn’t included in CNBC’s call to action or has emerged in the years since. As you will see, the problem hasn’t gotten any better (just the opposite, in fact), and far from the image, we get when we hear the word “accident,” most serious or fatal truck accidents aren’t mere happenstance. They’re caused by preventable negligence. And something has to change. The National Highway Traffic Safety Administration (NHTSA) reported a 5.4% increase in the number of truck accident fatalities in the United States between 2015 and 2016. That is especially disturbing when you consider that 2015 had seen a similar increase over years prior. Indeed, 2017’s numbers may be worse still. 4,317 people died in large truck crashes during 2016. Nighttime crashes have long been disproportionately associated with traffic fatalities. That proportion increased by 6.3% from 2015 to 2016 (compared to a 4.8% increase in daytime traffic fatalities). This is pertinent because the majority of serious trucking accidents happen at night. 2016 was the worst year for trucking deaths since 2007. While truck collisions generally do not get the kind of media coverage they merit, Nebraska made news earlier this year following two exceptionally bad weekends on the interstate. In late April 2018, a stretch of I-80 running between York and Lincoln, NE saw more than 40 vehicles collide in the course of a single 48-hour period, resulting in more than a dozen injuries and one death. The very next week, five more people were killed in traffic accidents within a four-hour period on the same 14-mile stretch of I-80. At least one of these fatal accidents involved a semi-trailer truck that crashed, caught fire, and claimed a life. The horrible story calls to mind a similar report in the Nebraska news in 2016, when seven people died in traffic accidents within less than 48 hours. Several of the deaths were caused by a collision between a semitrailer truck and a pickup truck. Nearly 98% of semitrailer truck collisions result in at least one death. The average commercial trucking accident causes $59,150 in damage. Driver error is a factor in nearly 90% of all large truck accidents. Large trucks are responsible for 2.3 deaths (and 60.5 injuries) per every 100 million miles driven by motorists on American roads. Truck driver fatigue is one of the most common causes of U.S. trucking accidents, accounting for at least 30% of crashes. If you or someone in your family has been injured or killed in a truck accident, Hauptman, O’Brien, Wolf & Lathrop, P.C. can help. We are a Nebraska personal injury law firm with years of experience and a robust record of getting truck accident victims the full compensation they deserve. 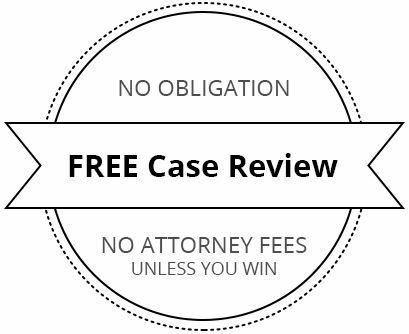 Our veteran truck accident attorneys fight relentlessly to maximize our clients’ compensation and insist that trucking companies and insurance carriers give victims the full-throated justice they deserve. We do not charge a fee for our services unless and until we get you money. We are also proud to offer free consultations to victims and grieving family members throughout the states of Nebraska, Colorado, Iowa, Kansas, Missouri, South Dakota, and beyond. To get started, simply call our office at (402) 241-5020 or contact us online today. What are Nebraska's UM/UIM Requirements?